In June 1215, by the banks of the Thames at Runneymede, the English barons required King John I of England to accept and sign the Magna Carta. This was an attempt to limit the authority of the king by protecting some individual rights and by creating a council to act as a forum for legal redress and political compromise. In the same year, a legal change to marriage was introduced by the Church: the “banns of marriage” which confirmed that each partner was free and able to marry which were read out in church on three successive Sundays so that anyone who felt they had a legal objection could state it. The proclamations of the banns also meant that the celebration of the wedding was based in the community. 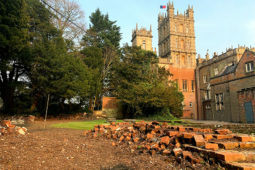 Approval of premises for civil marriage and civil partnership in locations such as Highclere, other castles, hotels or buildings began about 25 years ago in this country and have become key elements of business for many stately homes, Highclere included. Over the years, we have hosted a number of weddings although perhaps the most publicised was the one that took place between Peter Andre and Katie Price (Jordan) in 2005. Coverage of it took up some 52 pages of OK Magazine as well as pages in Hello and most of the newspapers. There were helicopters overhead and paparazzi in the ha-ha and in a large shrub (found by our dogs). However, every wedding is special. This is the moment when two people proclaim their wish to spend their lives together, promise that they will love each other for ever and that they accept it will be through good and bad times and that those ties may require them to work at it. I am not sure many of us realise when we stand together to marry that there is not a status quo of immediate and then eternal bliss but that it is the beginning of a journey. I have always enjoyed the detail, the stories and the characters of Jane Austen’s novels, although she, of course, always left her brides at the church door in a rose-tinted dream. Geordie does not share my passion for Jane Austen but kindly took me to the cinema to see one of the films made from her books. I was suitably appreciative but, nevertheless, he sat down with a bit of a huge and noisy sigh, resting his head on his hand to one side and focusing on the popcorn. We all wanted the “dream” for the characters so many came to love in Downton Abbey. As it is fiction, of course it happened. Lady Mary found happiness not once but twice, Lady Edith finally, to everyone’s enormous relief, did get married whilst downstairs there was the fortitude and trials for Anna and Bates and the delicate and dignified story of Mr Carter paddling in the seas with Mrs Hughes before finally realising he should ask her to marry him. Valentines’ day, for all its commercialism and kitsch drama, is a pause in everyday life when you can, and should, turn and remember your partner. 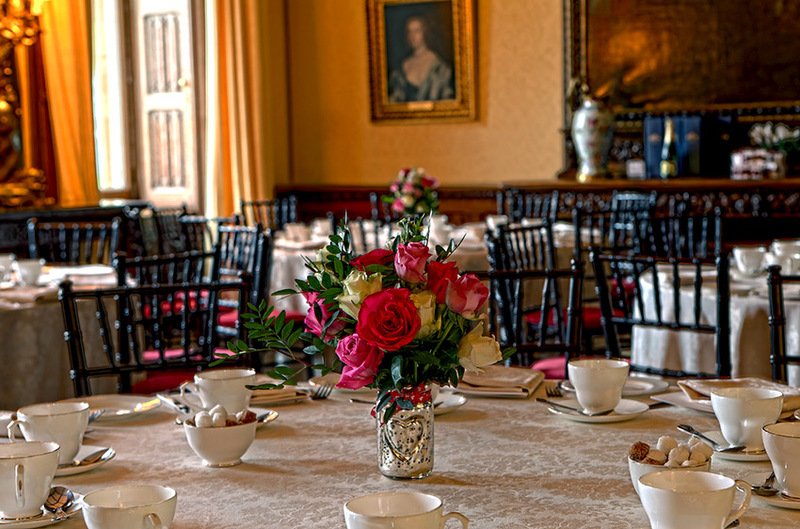 Everyone has their own way of doing it but here at Highclere we have created a weekend of afternoon teas in the State Dining Room. The chefs are going to work to produce some lovely details on the food, Sally is thinking roses and garlands and I have produced a little collection of poetry and quotes for the guests to take away. I have enjoyed putting it together and, amongst other sources, I have included some from Mae West, who always makes me laugh but who also has a knack of getting right to it. Wonderful post, thanks very much for sharing all this. Todays my birthday and I love to read all that from highclere castle. Cheers and Happy Valentines from America. I promised my wife I would take her to the UK this year and we intend our first stop to be Highclere. We just finished both of your books and loved them. Thank you for sharing Highclere with us all. Ah, what we do for love. I loved how Geordie took you to the cinema even if Jane Austin isn’t his cup of tea but yours. Valentines Day at Highclere sounds like a lovely occasion. While I always enjoy your posts, this one has to be my favorite. How I wish I could join you for tea! Kindest regards from Tennessee! This is how I describe Gerard’s and my relationship… we are like two trees standing side by side . We we have our similarities and can also be quite independent but below the soil, our roots are intertwined and that makes us stronger together . Happy Valentine’s Day to you and Geordie. Happy Valentine’s Day and thank you for another wonderful post! The Downton marriages were so beautifully conveyed, especially the union of Mrs. Hughes and Mr. Carson. How they “danced” around their feelings for a very long time! 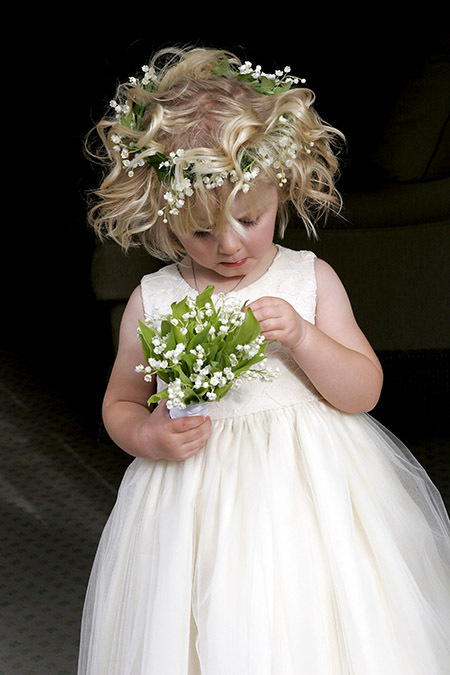 I love the photo of the flower girl bedecked in Lily-of- the Valley. It is one of my favorite flowers, with it’s delicate fragrance – I had them in my bridal bouquet! Have a wonderful, loving Valentines Day! Just 3 more days until the red of flowers and dulce treats! Happy xo to you, Geordie and your son. I especially like the picture of the young girl with her floral crown and her beautiful white flowing dress. Spring is still on the cold side here. With gratitude for your interest in humanity. Greetings from Fort Worth, Texas! My husband unfailingly forgets my birthday every year, but always remembers Valentine’s Day to present me with a gift. A large plushy teddy bear, a very large pink, furry heart pillow, which give guests the giggles when they see my gifts. My gifts may seem silly to some people, but they are treasured by me. My husband doesn’t go with me to the cinema anymore to see movies that I like. The last time he accompanied me, he sighed loudly and theatrically several times, then he fell asleep and began snoring. Loudly. So I released him from what he felt, as a gentleman, his duty. Thank goodness. Now I don’t have to share my popcorn. Enjoyed this post just like all of the others. Such a pleasure to read. I am planning a “Highclere Tea” on June 4th for our senior club members at Hills Bank, Iowa, I love reading your posts and have shared your books. I was in the lucky group from Hills Bank when we toured Highclere with Cathy Greteman and, the best part, met you. THANK YOU and Happy Valentines Day. What a wonderful post. Loved the photos. Highclere is such a beautiful and magical place. I so enjoy reading your blog Lady Carnavon. Thank you for the lovely photographs, everything looks so elegant. What are the flowers in the centerpieces on the table in the picture in the library, especially the little ones at the top? And do you do the flowers from your gardens? 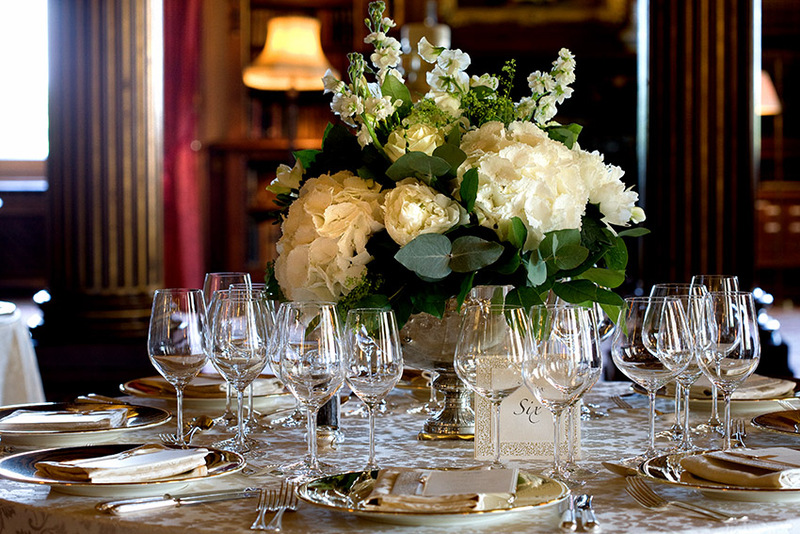 Highclere is a lovely place for truly memorable times of happiness for brides and their wedding parties. I’m glad you enjoy perfecting their special days! Another great blog from Lady Carnarvon and a little bit of fun history added. Thank you Lady Carnarvon for sharing your home and adding to my day here in the US. I loved seeing the wedding scenes. Hint, I wouldn’t mind seeing another recipe being prepared using your beautiful Aga. What a lovely post. My daughter became engaged yesterday, so weddings are top on my mind today! As usual, your lovely missive was just what I needed to hear today. Thank you for brightening up a gray morning. My husband and I have been married 52 years and we have a sundial that has the quote of come grow old with me, the best is yet to be, but I didn’t know it was from Robert Browning. I so enjoy reading about life at Highclere and how you make it come alive for us that will probably never make it there to see it in person. Thank you. anniversary extra special for us. Thank you again for your wonderful posts, it warms my heart every week to read. That will be wonderful and you will have such a lovely time with Viking! Some friends of mine have just come back from cruising around Norway and loved it -I would love to do that one! I’m such a romantic at heart and I know you are also a kindred spirit. Hope to catch a glimpse of you when we come to visit this summer – but I understand you can’t be everywhere and say hello to everyone. I’m taking your advice and also doing a Bath tour since its not far from Highclere. Still firming up plans and will leave the lodging open when we come your way. I know I will find a sweet b and b to lay our weary heads. I wish we could be there for your Valentine special tea weekend, those lucky people will no doubt have a wonderful romantic time. In the words of Mae West “Why don’t you come up and see me sometime” hee-hee…Thanks for your wonderful blog, it makes a dreary Monday all sunshine and roses! Lovely post Looks likes it’s time to find a new romantic movie partner! Ha My husband is the same so I started being my sister. And she gets me. What a lovely day it sounds like you have planned out for the special occasion, sounds so romantic. That was also my favorite episode when Mr. Carson takes Ms. Hughes hand in the ocean- ah so sweet. My birthday is this month as well so I’ve come accustomed to getting all sorts of chocolate and sweets and roses. Hope you have a fantastic Valentines Day as well. Dear Lady C — I always get lost and drift away to Highclere when I read your blog. So romantic and especially with Valentines day this week — But I quickly awaken with the dog scratching to be let outside! Thanks for the moments of respite. My husband and I married 57 years ago on Feb. 16. We would have married on Valentine’s Day except it didn’t fall on the weekend. And for all these years, he has made me feel loved and very special, always a card and flowers. I return the love with a special meal and a favorite dessert. We enjoy our time together and treasure every day we might still have! Thank you for celebrating love. I feel very lucky – we don’t argue although sometimes he may not realise I am right..
Ah husbands! They live on another planet. I asked mine if he wanted to do something on Thursday and he asked why? The notion of Valentine’s day has not even cross his mind. Happy Valentine! In India we still have “banns of marriage”. I had them at mine. In fact I took it for granted that it was practiced in all churches until I moved here to America and realized that they had never even heard of them.The padre in the Anglican church in India still says ” if anyone knows why these two people should not get married, let him declare it now or forever hold your peace”. This is very central in Jane Eyre. How quaint all this sounds now! It is intersesting isn’t it? Just writing about it makes me think – I find writing leads to understanding – I often do not know where I am going until I have finished..
“In spite of ourselves” is the bullseye. Marriage often fails, a fact. Successful marriages put each partner in their proper place. Very interesting. Enjoy san Valentín!! I love reading your blog! It always brings me joy. I appreciate your perspective and views we share in common. Happy Valentine’s Day! Thank you for your wonderful blog. Last week my husband’s parents celebrated their 69th Wedding Anniversary, showing that love and commitment to each other conquers all. What a lovely post. I think every wedding ceremony should include something about marriage being the beginning of a journey. I really enjoy your Blog and the beautiful photos that you post. Happy Valentines Day to you and Geordie! I echo the previous comments! I was a wedding coordinator and Florist for over 30 years, so weddings are my ‘happy place’. This March we will celebrate our 52nd wedding anniversary. As you said, the promises to love in good times and bad do not guarantee happiness. That takes work. Every day is not perfect, but being with the one you love like I have found with my Ed, and you have found in your Geordie, “The greatest happiness in life is the conviction that we are loved, loved for ourselves, or rather loved in spite of ourselves” is true. I really loved this blog! Valentine’s Day is a favorite Holiday for me. I guess I am a romantic at heart. Seeing the pictures of the wedding at Highclere was amazing. 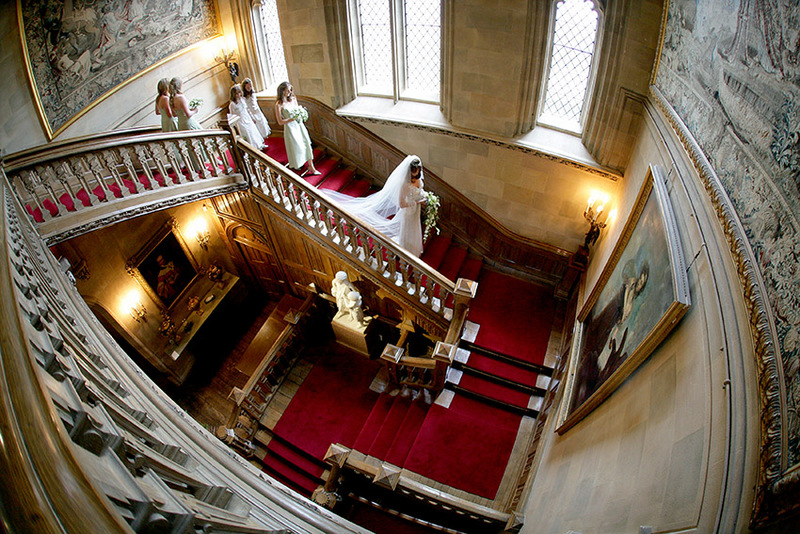 I can only imagine how it must feel to walk down that fabulous stairway to marry your Prince Charming. Talk about a fairy tale! Thank you for sharing with us. You have done it again…started the week out with smiles. Once again my Monday is brighter and more expansive b/c your blog posting captured the moment and authenticity of daily love. I leave for Paris soon; Highclere is on my list in the future. As a widow I do have lovely memories of Valentine’s Day. There is love all around and I do so appreciate it. Be well. So appreciate your postings. A wonderful post. Thank you. To love and be loved is one of life’s greatest gifts. 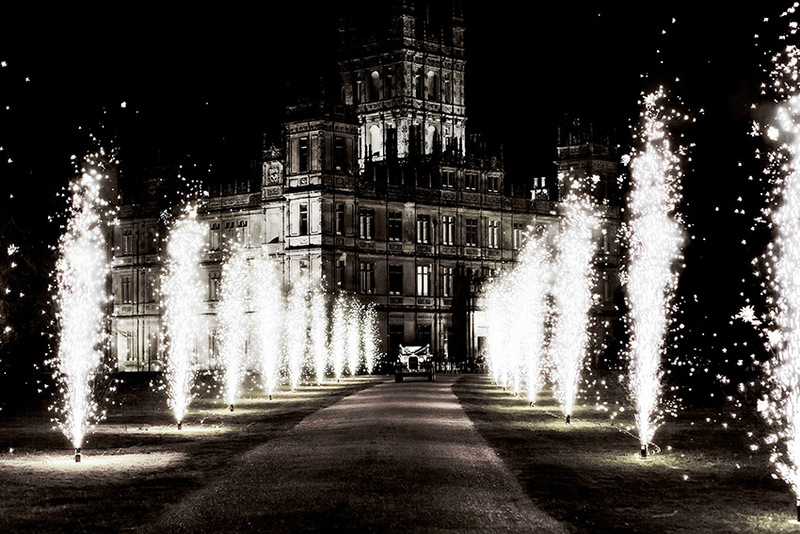 Highclere would be the perfect place to celebrate Valentines Day. Such a lovely post! full of inforamation and fun. Highclere looks even more beautiful than ever dressed up for weddings. Valentines tea’s sound fantastic. A marvelous posting, Lady Carnarvon. In addition to your marvelous writings in you blog, the black and white photographs add such a touch of class and history. Black and white is much more traditional and appropriate in context with a historical subject. You are so fortunate to live in such a historical setting. My husband and children descended from King John and so when we were there this past June we visited Runnymede. We were delighted to see that our own American Bar Association built a monument to the site and we saw the two new art installations there of the chairs and the water room which were both spectacular. So much of our American Constitution depends upon what happened on that June day in that beautiful field. We so appreciate our English brothers and sisters and will forever consider England our mother country. I cannot wait until I return and will of course, make Highclere a part of my visit. I have so enjoyed reading all of the beautiful love stories, and now, I would like to add a story of my own. During the years my youngest son was in college and grad school, he kept telling me that when he graduated and started making money, he would take me to Europe. This past Christmas he gave me a note which read, “Mom, pack your bags. We are going to Paris in April, 2019!” Excited? I was beyond excited. But it gets even better…..He called me on my birthday to tell me we were going to make a stop on our way to Paris. He informed me that we would be going to London, renting a car and driving to Highclere to spend the day touring the castle and gardens and having tea at the Coach House. My son knows what an Anglophile I am and that spending a day at Highclere would be a dream come true for me. I love your blog, have read and thoroughly enjoyed your wonderful books and have watched Downton Abby numerous times. I am so looking forward to our son/mother trip and I know our visit to Highclere will be an unforgettable day for us. I can not imagine a more romantic home to get married in. Gives feeling of the love you live only once or twice in a lifetime. Happy Valentine’s Day to you and your loved ones. Thank you for the lovely pictures and the wonderful quotes. Incidentally, I am still watching “Downton Abbey.” Reading your blogs are very enjoyable. Keep them coming please. I so enjoy your life at Highclere Castle. Thank you for sharing it with us. I love everything British. I too loved the picture of the bridesmaid in her Lilly of the Valley adornments and what an insightful comment on love from Jane Austen who never actually married. Love is like an acorn – the longer it lasts the more shapes it grows into. As I sit in a cold, extremely white and snowy wonderland of the Midwestern USA, you have once again warmed my heart with another wonderful regaling of Love and beauty. I’ve been on the couch – let’s just say nobody wants what I have when I begin coughing – so you have definitely brightened my spirits. If I have to be snowed in, I am so pleased to look at your lovely photos, and read of memories made at Highclere. I look toward a Spring that comes sooner rather than later, and a trip we have planned to Paris in May. 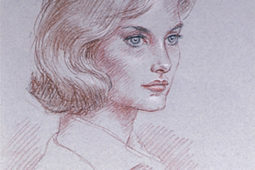 First, I would like to wish you and everyone at Highclere a very Happy Valentines Day. Love is definitely in the air today at Highclere. But every time I read your stories I feel there is always love there. I love the way you define what a marriage really is and consist of. Thank you for reminding us that when we marry it is the beginning of a journey. Also, I enjoy Jane Austen novels and the films that have been made. Some people say that I am a hopeless romantic. No! I just believe that even the times we live in now that true love still exist. I think that was so romantic about your story and your husband taking you to see the Jane Austen Film. The people that are coming to Highclere today are so lucky. What better way to spend Valentines Day than at Hughclere. A lot of hard work and time goes into the preparation. But more than anything is the love that is put into this Special Day for others. This will be a day they will never forget. Thanks to you, chefs and Sally. I enjoyed reading the quotes by Robert Browning and Victor Hugo. The picture was beautiful of the little girl. Have a great day, and get some rest after your day is over. 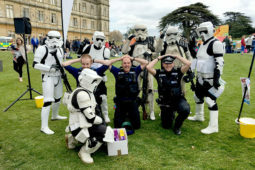 When my husband found out that Highclere Castle hosts weddings, he jokingly told me he’d like to divorce me just so he could marry me again at Highclere, ha! Thank you for another lovely post, and Happy Valentine’s Day from across the pond! The photos are lovely. What a wonderful idea it is to have a celebration for Valentine’s Day! I hope you post some photos of the affair. Thank you for your charming and delightful words. This was a nice break in the middle of a busy workday. Our Valentine’s Day brought the celebration of the 15 year anniversary of my husband’s marriage proposal (I said “yes,” by the way) by attending the Chicago Symphony Orchestra’s concert. The music was as lush and soaring and romantic as your home.